Was just idly browsing and came across this strange Japan-only, 3DO-exclusive RPG. Got a look at a YouTube video of it and at the least, it looks very different from your typical J-RPG. 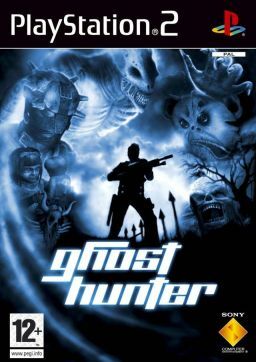 Anyone here played it? How accessible is it to someone who doesn't know Japanese? Spotted this on one of the 3DO master lists I have, listed as an RPG, and it piqued my curiosity. Apparently 3DOKid, at least, has played it! And as a side note: man, there are just sooooo many Japanese-exclusive 3DO games. It's about, what, 50% of the whole library? I always thought it looked cool and seemed like a neat premise for a RPG. The heavy amount of Japanese text was pretty off-putting though, unfortunately, so I have never personally played it. goldenband wrote: Spotted this on one of the 3DO master lists I have, listed as an RPG, and it piqued my curiosity. Apparently 3DOKid, at least, has played it! Not that many. I'd estimate something like 30% of the 3DO's library. Certainly nothing compared to the number of Japanese-exclusive games on (for instance) the NES, TurboGrafx-16, or Saturn. Ghost Hunter Series still has my interest, though I haven't gotten around to picking it up yet. It strikes me as more accessible than most Japan-only RPGs, though the non-linear exploration will likely be troublesome. goldenband wrote: And as a side note: man, there are just sooooo many Japanese-exclusive 3DO games. It's about, what, 50% of the whole library? In quantity it's not as large as those systems, sure, but I think the 3DO JPN-only library really is close to 50%. I have a spreadsheet with a more-or-less complete list of 3DO releases, with a total of 352 entries, 166 of which are Japanese exclusives. Now, both of those numbers are too high, as the spreadsheet includes a few redundant and spurious entries -- not to mention samplers, discs that are simply video playback, and so on. Still, those factors affect both the US and JPN libraries (as listed in the spreadsheet), and to me it looks like at least 45% is Japanese exclusive. But I'd welcome more precise numbers, though I can't do the research myself right now. Martin III wrote: Ghost Hunter Series still has my interest, though I haven't gotten around to picking it up yet. It strikes me as more accessible than most Japan-only RPGs, though the non-linear exploration will likely be troublesome. I look forward to your review when the time comes! Even percentage-wise it's not as high. The Saturn and TurboGrafx-16 libraries are both more than 75% Japan-exclusive. With the NES it's much harder to give a decent estimate, but I'd be surprised if the percentage of Japan exclusives is less than 50%. Martin III wrote: Even percentage-wise it's not as high. The Saturn and TurboGrafx-16 libraries are both more than 75% Japan-exclusive. With the NES it's much harder to give a decent estimate, but I'd be surprised if the percentage of Japan exclusives is less than 50%. OK, but let's also note that those consoles were all designed and made by Japanese companies, and all three debuted in Japan well before they reached the US. That's not the case with the 3DO -- and yet it has more Japanese-exclusive releases than the Nintendo 64 or the Sega Master System, and a higher proportion of its library than the Sega Genesis. That says something, though I'm not sure what!